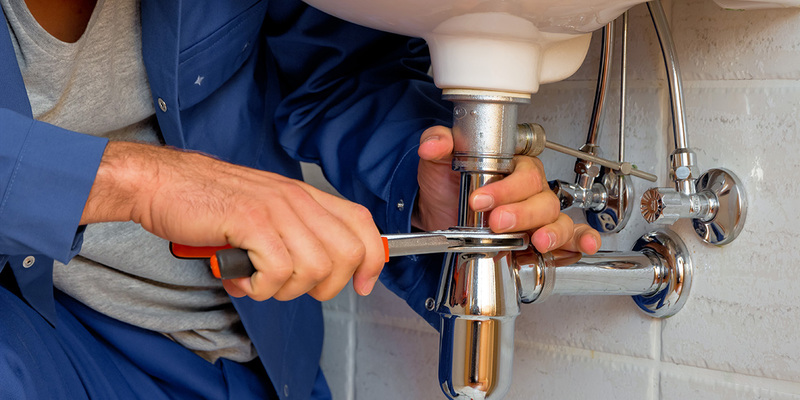 We’ve spoken to Colleen from Hutt Gas & Plumbing and she’s been kind enough to put together a few words of advice for all you homeowners looking at getting gas, plumbing or drain laying work done. “The biggest thing for us as plumbers, gasfitters and drain layers is ensuring the public know what they can and can’t do in these regulated trades. When selecting a tradie for a regulated trade (plumbing, gas fitting, drain laying, building or electrical) do your homework. Is the person that turns up at your front door a qualified professional? Ask to see his licence card. In the case of plumbers, gasfitters and Drain layers, if they are a certifier. It’s important to know that only certifiers can sign off gas certificates. All gas work undertaken at your property needs a gas certificate. These include a safety certificate, a certificate of compliance or a mixed certificate of compliance/safety certificate. You don’t need one is if they are cleaning out a gas appliance or replacing decorative parts. If he needs anything more than a duster and vacuum cleaner, you’ll need to get a certificate off him. This ensures you won’t run the risk of having problems with your insurance company down the track. You’ll be able to prove you had the work done by a properly qualified person. For “high risk” work, (don’t panic this is simply the legal definition of several types of gas fitting, but mostly it pertains to any appliances, gas pipe work alterations etc on an existing system) – you can check the work has been entered into the Energy Safety data base by going to www.ess.govt.nz and following the cues for Gas – and the high risk data base. 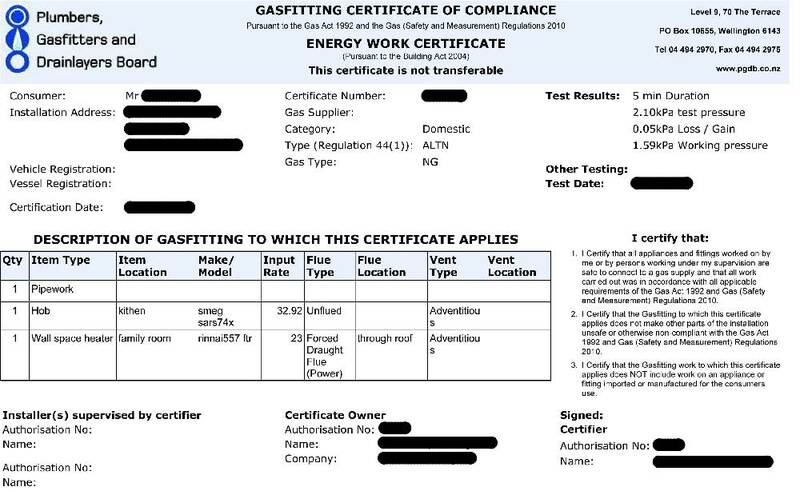 If you are purchasing a home with gas appliances in it check that they have been installed by a properly qualified person and the work has been certified. This can be checked by going to www.ess.govt.nz and following the gas cues (for work done since July 2013), or www.pgdb.co.nz and look for Gas Certificates (for work done from 1992 – July 2013). 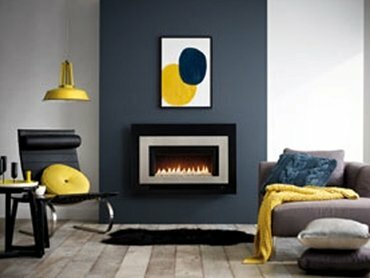 If there isn’t a gas certificate then start asking some questions. Hi there, we have bought a property in Palmerston North and the gas heater needs to be removed as it is too old to get parts to fix and it is unsafe. My partner seems to think he can remove it himself but I’m not so sure. What are the rules around this? Hi Jan, It is not a good idea for him to remove it himself. In fact I believe it is illegal and highly unsafe to do so. Please contact a gasfitter and check or the plumbers, drainage and gasfitters board. Please do NOT attempt anything without getting the correct information. Your safety depends on it.